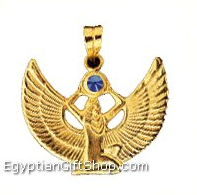 Egyptian Gift Shop is an online treasurer of Egyptian hand-made jewelry, gifts, statues, papyrus, glass bottles, collectibles and souvenirs that symbolize the beauty of ancient Egypt and made of 18k gold and silver. The types of jewelry the shop displays reflect the superb Egyptian architecture. Explore the magnificent Egyptian jewelry online and get it delivered at doorstep on registration. Jewelry happens to be an integral part of the human civilization. People wear jewelry for different purposes. Today, jewelry is a fashion statement that raises the beauty of an individual. Gone are the days when jewelry was limited to women, modern men are too wearing rings, bands, bracelets to improve their look and personality. 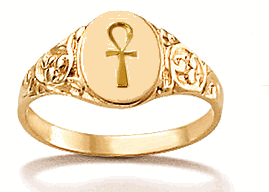 Some of the Egyptian gold products like Egyptian gold rings are design with 18k pure gold for both men and women for auspicious purposes. When it comes to Egyptians, they love to adorn their bodies with jewelry. Due to hot and humid condition, they wear slim clothes. For ancient Egyptians except slaves, wearing jewelry is an act of displaying their wealth and status and protects themselves from evil spirits. Wealthier classes used to love gold, silver and copper blend of jewelry where as lower classes used mainly copper. The Egyptian craftsmen made use of variety of precious stones, metals, hand-made materials and animal products. Most of the materials were obtained from nearby hills and deserts and creatures, inhabiting the river Nile and surrounding areas. There was widespread production of jewelry for both living and dead people. Egyptian funerary belief was that the mummified body must be decorated with highly artistic jewelry, made of finest metals that of gold. Especially for women who have a ritualistic view must wear Egyptian necklace gold with pure 18k gold and all designs accordingly for their views. Whether it's antique or modern, Egyptian jewelry tends to be spectacular and extremely embroidered with variety of textures and other things. Symbols like Egyptian cross, snakes, scarab beetles and pharaoh heads are common. Metals, glass, gemstones such as quartz and amethyst are predominantly seen on many Egyptian necklaces, bracelets, anklets, brooches, rings and earrings. Careful use of colors is a vital part of Egyptian jewelry because certain colors were thought to have carried some benefits related to health, wealth and positive spirit.